The Display_T35 module and the DisplayModule.SimpleGraphics object can display various graphics. This example draws ellipses and sets the colors and sizes of the ellipses according to the voltage a GHI Electonics Potentiometer module. Just for fun it also matches the color of a GHIElectronics MulticolorLed to that of the ellipse that is drawn on the screen. 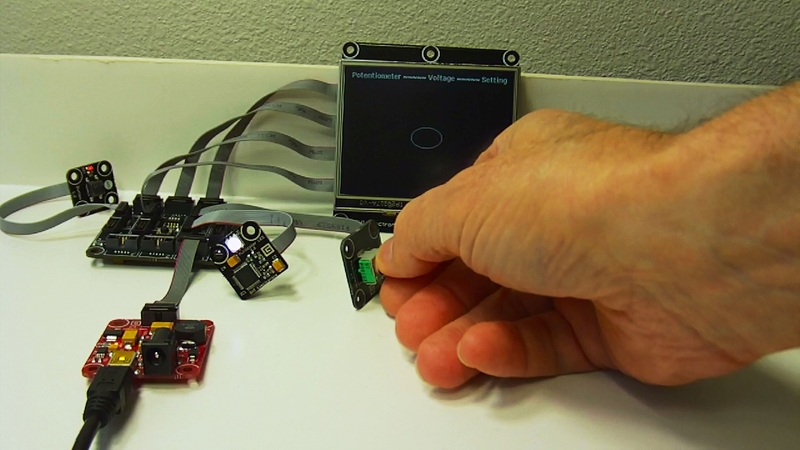 On each Timer.Tick event the .NET Gadgeteer.Timer.TickEventHandler reads the potentiometer and resets the size and color of the ellipse on the display to match the color of the MulticolorLed. 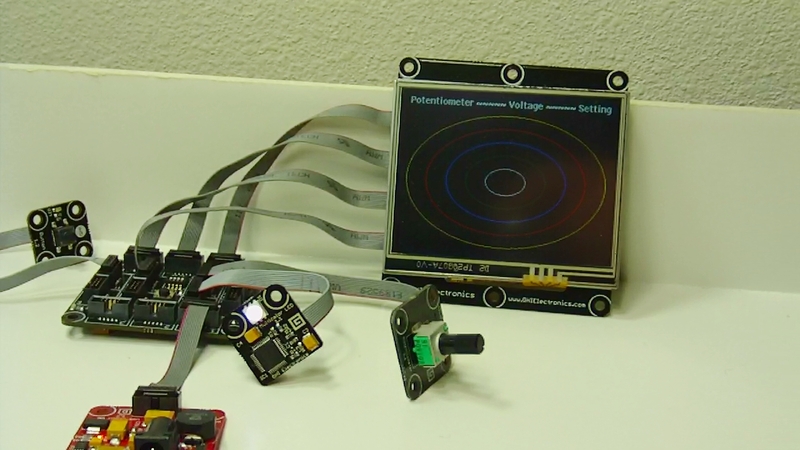 Access the SimpleGraphics object from the Gadgeteer.Modules.DisplayModule.SimpleGraphics property. This entry was posted on October 28, 2011, 1:32 PM and is filed under Embedded Microcontrollers. You can follow any responses to this entry through RSS 2.0. You can leave a response, or trackback from your own site.